Iran’s Foreign Minister Mohammad Javad Zarif appeared in a video Tuesday claiming that Iran has the right to enrich uranium and that there is a path forward in negotiations over its nuclear program. "What is dignity? What is respect? Are they negotiable? Is there a price tag?" Zarif said. "Imagine being told that you cannot do what everyone else is doing, what everyone else is allowed to do." "We expect and demand respect for our dignity," he added. 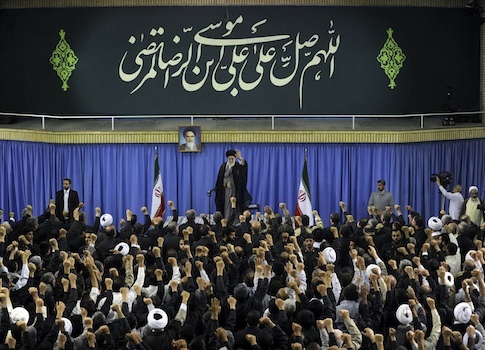 As nuclear talks resume in Geneva Wednesday, the Washington Free Beacon examined the state of five other rights demanded by the Iranian people—and not respected by their government. About 800 Iranian dissidents, including journalists and human rights and political activists, remain behind bars in Iran, according to Freedom House. Leading opposition figures Mir Hossein Mousavi, Mehdi Karroubi, and Zahra Rahnavard have been held under house arrest for more than two years. Iranian guards reportedly struck and bit Mousavi’s visiting daughters when they refused to comply with an invasive search last month. Mousavi, a former prime minister, was one of the principal leaders of the "green movement" protests in 2009 that followed the disputed election of former President Mahmoud Ahmadinejad. The Iranian government dispersed those protests in a bloody crackdown that killed at least 27 people and jailed hundreds. 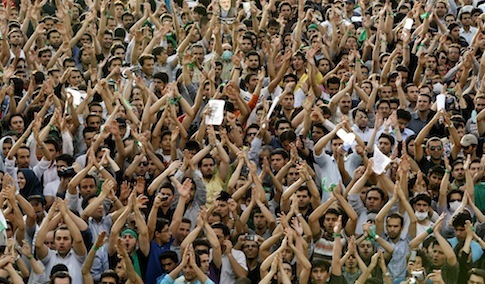 While the Iranian regime did release 80 prisoners in September, including some of the 2009 protesters, experts say it remains unclear whether the pardons are permanent. Iranian authorities have initiated a "surge" in executions this year of more than 500 people, according to Amnesty International. Many of those executed are drug traffickers and other petty criminals who are swiftly convicted. 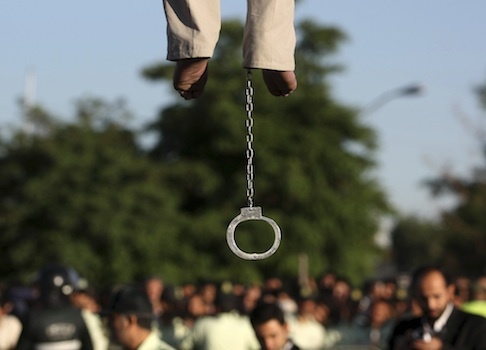 One man publicly hanged in October received a death sentence after "a five-minute trial in March 2010," according to Amnesty. A chorus of human rights groups are calling on Iran to halt the planned executions of Zaniar and Loghman Moradi, two Kurdish minority activists arrested in 2009. Their lawyer says the two were tortured in prison and forced to confess to the killing of a cleric’s son. They were subsequently charged with "enmity against God" and sentenced to death. U.S. pastor Saeed Abedini continues to be confined in Iran’s notorious Rajai Shahr Prison, the detention facility for the country’s most violent criminals. 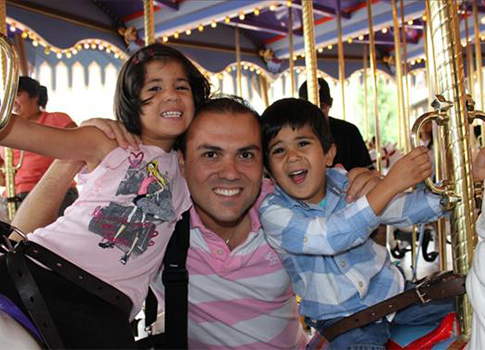 Abedini was imprisoned for conducting worship services at Christian house churches in Iran. His family members in Iran were allowed to visit him for the first time recently, but he is still being denied medication prescribed for him after beatings at his previous prison. Abedini shares a 10ft x 10ft prison cell with other violent offenders including murderers and rapists. The U.S. Senate passed a bipartisan resolution last week calling on Iran’s government to release Abedini and all other religious prisoners, and the House Foreign Affairs Committee discussed a similar measure on Wednesday. An online petition advocating for Abedini’s release has garnered almost 240,000 signatures. "We continue to urge President Obama—who has previously directly spoken out about Pastor Saeed’s case—and the U.S. State Department to re-engage this issue at the highest levels," wrote Jordan Sekulow, executive director of the American Center for Law and Justice, in a post Monday. "As international negotiations continue with Iran regarding its nuclear program, Pastor Saeed’s freedom must be a chief concern. Human rights and specifically religious freedom—the first freedom—is a critical step forward for any nation on the world stage." Four Iranian Christians were sentenced last month to 80 lashes for drinking wine during communion and possessing a satellite antenna. Members of the Baha’i community, a minority offshoot of Shiite Islam, have also faced persecution and violence in Iran. After Supreme Leader Ayatollah Ali Khamenei issued a fatwa or religious ruling instructing Iranians to avoid all contact with members of the minority group, popular Baha’i leader Ataollah Rezvani was shot in the back of his head in August in what was widely viewed as a religiously-motivated killing. The Committee to Protect Journalists reported in May that Iran’s government was holding at least 40 journalists in jail, the second-highest total in the world, as the June presidential election approached. The detentions reflected "the government’s continuing determination to silence independent coverage of public affairs," the committee said. The committee’s analysis found that the imprisoned journalists experienced whippings and extended periods of solitary confinement and were denied family visits and medical care. One of those journalists, Siamak Ghaderi, received a four-year sentence and 60 lashes in 2011 for "propagating against the regime" and "creating public anxiety" after he wrote about the 2009 street protests. Ghaderi also interviewed several Iranian homosexuals after Ahmadinejad publicly stated that "there are no homosexuals in Iran." The BBC reported that the lashes in his sentence were punishment for "cooperating with homosexuals." Iran’s 2010 Computer Crimes Law "effectively criminalize[s] legitimate online expression" and "legalizes government surveillance of the Internet," according to Freedom House. 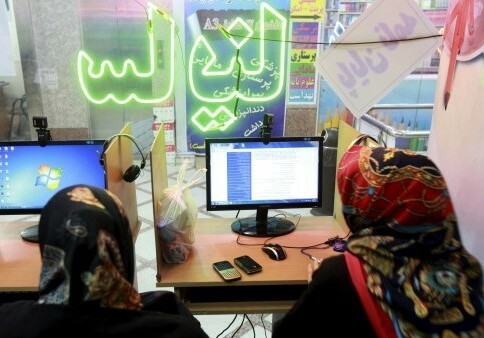 Iranian authorities also require cybercafe owners to record the personal information and browsing histories of customers and plan to shift to a national intranet disconnected from the global internet. Social media sites like Facebook, Twitter, and YouTube have been blocked since the 2009 protests when activists used them to provide on-the-ground coverage. Yet Zarif, Khamenei, and President Hassan Rouhani all maintain Twitter accounts. The Daily Beast’s David Keyes asked Zarif in September what he thought about his ability to post on Facebook in light of the domestic ban on Iranians using the site. "Ha! Ha!" he laughed in response. "That’s life." This entry was posted in National Security and tagged Hassan Rouhani, Human Rights, Iran, Nuclear Weapons. Bookmark the permalink.